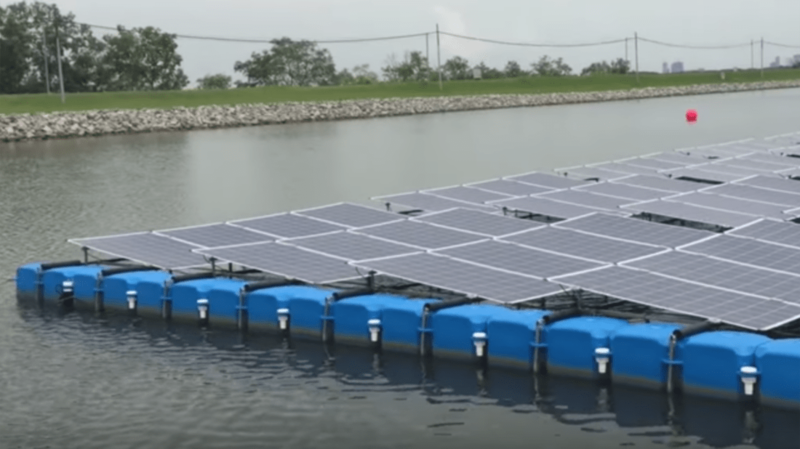 Singapore is poised to launch the world’s largest floating solar panel system by the end of the year, Inhabitat reports via ChannelNews Asia. Phase one of the photovoltaic test bed includes 10 different systems floating in the Tengeh Reservoir in western Singapore, due to be operational in the next few months, according to a speech given by Masagos Zulkifli, Singapore’s environmental minister, at the Asia Clean Energy Summit. The pilot project will test not only the energy efficiency of the panels, but the environmental impact on the ecosystem below, since the system will block out light over that stretch of water. It will also reduce water evaporation from the reservoir to some extent, which might change the efficiency of the solar panels by cooling them down. By the end of the year, it should be powering part of the national energy grid—three years after the project was originally due to go online. After the six-month pilot, ChannelNews Asia reports, two of the different photovoltaic systems will be tested on a larger scale. The first phase systems will continue to be operational for three to six years, though, along with the phase two systems. Singapore is considered a model for green initiatives in Asia, especially with regard to environmentally friendly buildings. However, while the new floating solar panel testing is the largest pilot in the world, it’s not the first. Similar projects already exist in Australia, India, and the U.S., and Japan is poised to install a record 50,904 panels over a reservoir within two years. But the floating systems are especially relevant to Singapore, a geographically small city-state surrounded by water.